Are you newly admitted to the University of Ibadan? Well, here is the UI acceptance fee payment for all newly admitted students. Using this platform, I would love to inform all students who selected the University of Ibadan (UI) as their preferred choice of institution, sat for UI post UTME, and were admitted into the institution, that the University of Ibadan, UI acceptance fee for new students 2019/2020 is out. For those who may not yet be aware, the University of Ibadan, UI acceptance fee is the first payment which is to be made by all students who were offered admission into this academic institution. 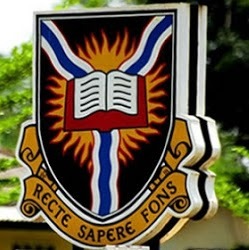 The University of Ibadan is not alone in practicing this, as all private Universities, States Universities, and Federal universities in Nigeria, also asked students to pay a certain amount to show that they have accepted the admission. When it comes to paying an acceptance fee, it simply shows that you have accepted the admission which was offered to you by the institution. To accept any admission, you have to do so through the JAMB Caps. However, failure to pay an acceptance fee shows that a student has declined, rejected the admission offered to him/her by the institution. It is very important to note here, that once you have successfully paid the Acceptance fee of the University of Ibadan, other charges like accommodation library fee, ICT levy, and the likes are also to be paid. Although certain institutions do not require you to hurriedly pay them. However, it’s for the good of a student to pay all these debts immediately after paying the acceptance fee, so as to ensure that their admission is confirmed and there’s no looming problem ahead. I’ve also provide Dailyschoolnews readers with the complete and updated UI school fees. You can read about the University of Ibadan – UI School Fees for both new and returning students by CLICKING HERE. Hope this page provides you with all the information you need to know about the Price and amount which is needed to be paid for UI acceptance fee. However, if you have any other lingering issues, you can reach us through the comment box below, I’ll be happy to help.